231 litre top mount is rated 3.9 out of 5 by 86. Rated 2 out of 5 by Pietro from Missing Door Bins Have had this for about seven weeks. Works well BUT the lack of two extra door bins makes the unit less that useful. The only freezer door bin needs a mate, and another exactly the same needs to be at the bottom of the main door, for small bottles and cans. I have seen the "sister" Westinghouse model, which DOES have these bins. I will endeavour to purchase two more bins, but the spare parts pages don't include this model in their door bins selection. The issue of these missing bins is compounded by the fact that normal-sized (375ml) cans CANNOT STAND UP ON THE BOTTOM THREE SHELVES. What use as a "Beer Fridge" then? 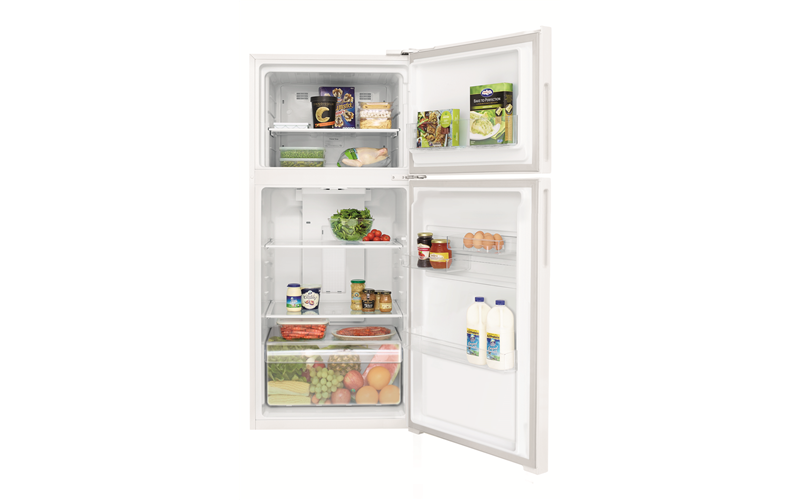 Rated 4 out of 5 by JBKV from Size and function Purchased almost 12 months ago, good fridge/freezer exactly what we needed as a 2nd fridge. Great price and quality. Only problem is the instructions on the sticker inside the freezer are incorrect, it actually works in reverse. The fridge bottom door shelf position can't be used, it is too wide for door to close when in lowest position. They need to supply a narrower shelf. Product photos on Bing Lee site show shelf in door but not supplied with unit. Extra door shelf in freezer needed also. Overall good - but attention to detail poor. Rated 5 out of 5 by John S from Great fridge for the size and price It took a bit of trial and error over three days to get the temperature right between the freezer and the fridge but it is steady now and keeps things frozen and cool in each respective part. The fridge I bought only came with one door bin in the freezer and one in the fridge door. I bought two more small door bins for $90 (via the Electrolux website) and fitted these easily. There is no meat keeper but you can simply put a plastic container with a lid in the refrigerator part for that purpose. The three shelves in the refrigerator are strong and cater for high and low containers. The fridge door bins hold milk, soft drinks and a wine bottle very well. 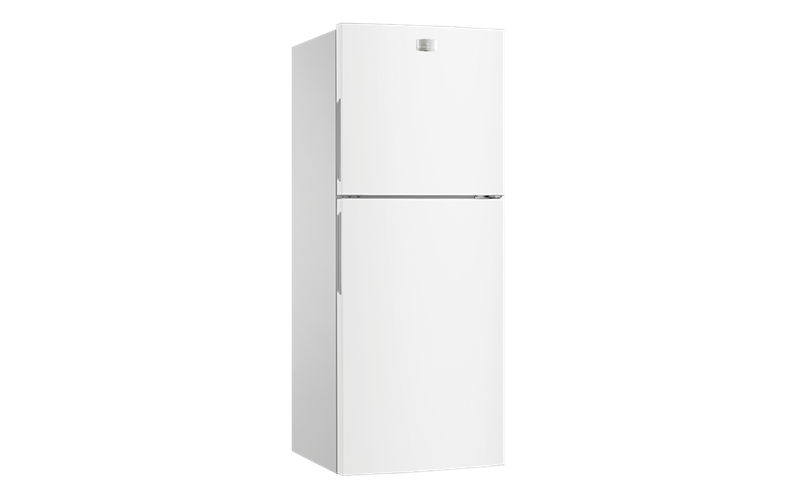 It is a good 2nd fridge for two people or a small family looking for some extra capacity. Rated 3 out of 5 by JenRay from A little disappointed I bought this fridge to go into a cabin which we rent out to tourists. The outside of the fridge looks good but the internal shelves etc are very flimsy and there is only one full width door shelf leaving no space to put items usually stored in the door shelf. I am also a little concerned that the shelves won't last as they are not good quality. Rated 5 out of 5 by dino d from Wonderful little fridge Bought this fridge for the office, plenty of space for the lunches and freezer space for the ice packs that the company uses to ship products out (chocolate).